John Mitchel born 1754 in Keighley Parish married Ann King in Kildwick in 1773. Their daughter Margaret (Peggy) "Mitchel" baptized in 1775 in Keighley married John Dinsdale in Keighley Parish in 1795. There were the parents of Ann, born 1796 who married Charles Lewis Land in Birstall Parish in 1816. Their son John Land born 1818 married Lydia Law in 1857. Their son Law Land 1858 married Elizabeth Sykes. Law Land and Elizabeth Sykes were the parents of Percy Land. 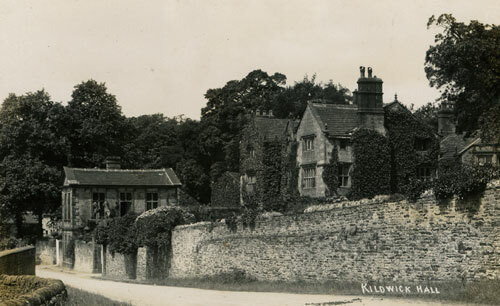 At a considerable elevation above the church, and commanding a fine view of the surrounding valley, stands Kildwick Hall, the residence of Mr. John Brigg, who holds a long lease from Sir Mathew Wilson, the owner of the property. 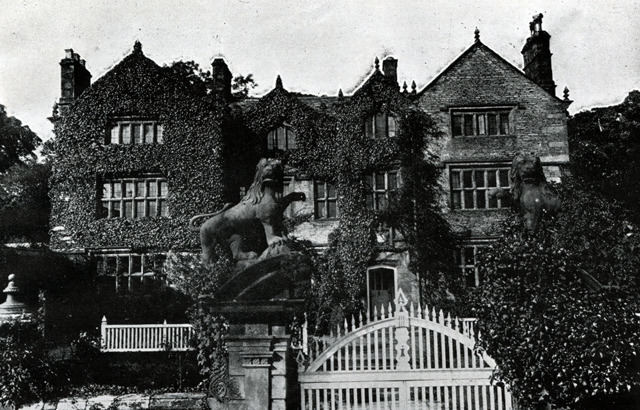 As already stated, the manor, and with it the old manor-house, passed from the Garforth family to Hugh Currer in 1559. This family were resident at Kildwick half a century before. By a descent of the property through a succession of Currers, of whom the leading descendant was alternately Hugh and Henry, the property came to Henry Currer, barrister, whose daughter Dorothy became the second wife of the celebrated Dr. Richardson, of Bierley Hall. By lineal descent the Richardson property passed to the late Miss Frances Richardson Currer, at whose death in 1861 her half-brother, Sir Mathew Wilson, succeeded, and in whom now vests the Bierley, Gargrave, and Kildwick estates. Kildwick Hall has evidently passed through many stages of construction. Originally a humble structure of two rooms, it has attained its present proportions by a process of development reached by careful thought on the part of its owners. The most important extension is attributed to the Henry Currer alluded to, whose arms, quartered with those of the Fothergills of London, from whom he obtained a wife and fortune, appear above the principal entrance. The hall nestles in a bosom of verdure, protected well to the north by plantations. It is an excellent specimen of the squire-archal residence of mediaeval times, the more recent additions and alterations being well in keeping with the whole. In this respect the property has not suffered while in the hands of its present tenant. Mr. Brigg's occupation only commenced in 1882, but since then much has been done to restore the character of the building. The hall contains several good rooms, one of which is heavily panelled and wainscotted in black oak. Upon Mr. Brigg's entry, however, the room contained a handsome marble chimneypiece, of modern make, completely hiding the massive fireplace which formerly existed, and which has now been opened out, and the massive arch supporting it exposed to view. A bove it are hung weapons of the chase and implements of ancient warfare-pikes from Flodden and armour of the Cromwellian period; beside it stands a more peaceful relic in the shape of a spinning-wheel of polished oak. The furniture of this room is antique throughout, and in beautiful condition. The hall is approached through a gateway supported upon each side by a sculptured lion rampant, and in front is an old-fashioned garden of great luxuriance. The pleasure of a visit is much enhanced by the cordial reception the visitors received from the host, Mr. John Brigg, who is none the less gratified at the appreciation manifested by visitors. Mr. Brigg, is always pleased to meet with persons of tastes kindred with his own.